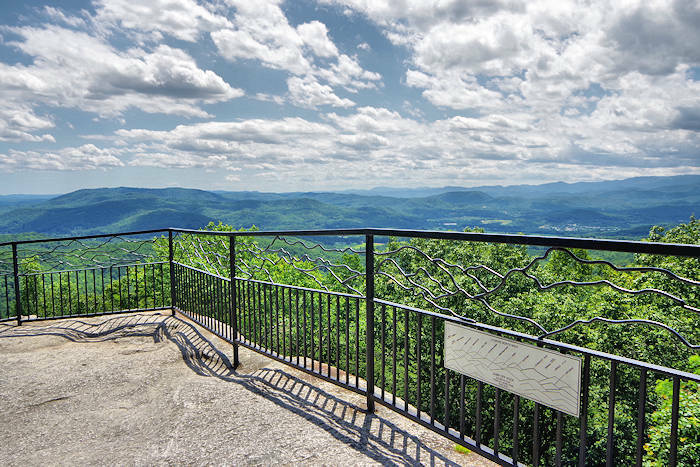 Located just five miles from downtown Hendersonsville is Jump Off Rock, a drive-to scenic overlook with panoramic mountain views. 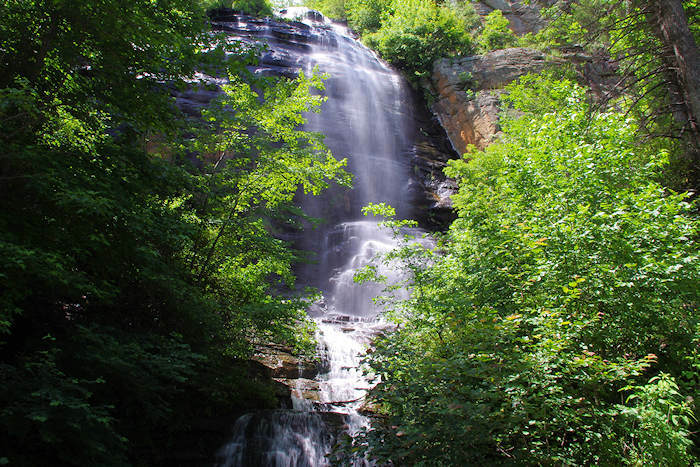 It's open all year, sunrise to sunset, and located in the town of Laurel Park. Admission is free. 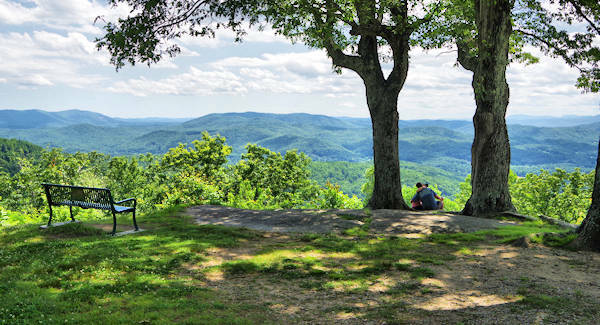 After driving a curvy mountain road up to the 3,100-foot summit, find a small park with a stone overlook, benches and several short hiking trails. It's a short, level walk to the view, so a great place for those with mobility issues to enjoy similar summit views that hikers enjoy. A sign helps you identify mountain peaks like Mt. 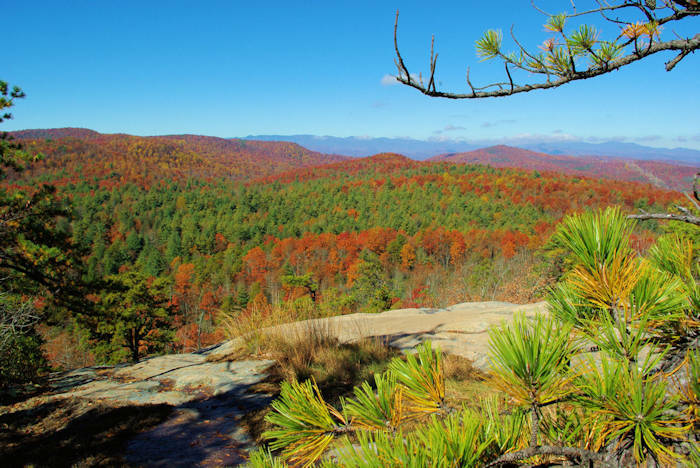 Pisgah and Cold Mountain. It's a popular place to watch the sunset. Bring a blanket for a picnic on the grass or a good book. It's certainly a romantic view, complete with a tragic legend of a young Cherokee Indian maiden receiving word that her young Indian chief had been killed in battle. So she climbed to the edge of the rock and jumped off. On moonlit nights you can supposedly see her ghost on rock. Head's up: There are no restroom facilities here, so plan ahead! Park Address: 4433 Laurel Park Hwy, Laurel Park, NC 28739. From downtown Hendersonville, take 5th Avenue West to Laurel Park. 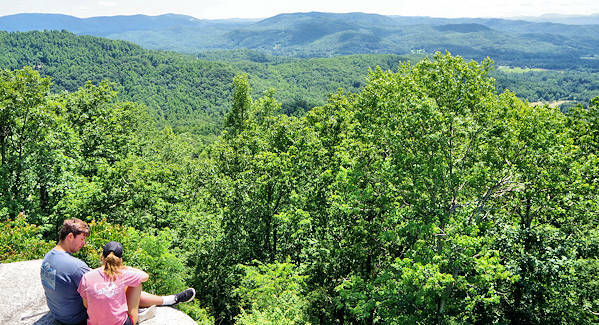 It's about 30 miles south of Asheville (allow 45 minutes to drive).